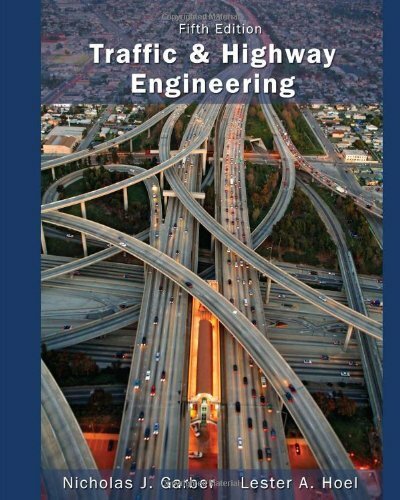 113360515X -The new edition of Garber and Hoel’s best-selling TRAFFIC AND HIGHWAY ENGINEERING focuses on giving students insight into all facets of traffic and highway engineering. Students generally come to this course with little knowledge or understanding of the importance of transportation, much less of the extensive career opportunities within the field. Transportation is an extremely broad field, and courses must either cover all transportation modes or focus on specifics. While many topics can be covered with a survey approach, this often lacks sufficient depth and students leave the course without a full understanding of any of the fields. This text focuses exclusively on traffic and highway engineering beginning with a discussion of the pivotal role transportation plays in our society, including employment opportunities, historical impact, and the impact of transportation on our daily lives. This approach gives students a sense of what the field is about as well as an opportunity to consider some of its challenges. Later chapters focus on specific issues facing transportation engineers. The text uses pedagogical tools such as worked problems, diagrams and tables, reference material, and realistic examples to demonstrate how the material is applied.